No, the above picture is not an image of God. Though I am certain many of you may think so, you have been fooled, bemused and beguiled. Most of you have no clue who this dead anti-Christ Talmudic Babylonian ribeye is. 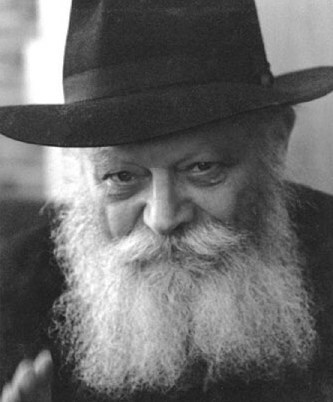 The above picture image is Ribeye (“call no man rabbi”) Menachem Mendel Schneerson, the very dead, dead, dead anti-Christ so called spiritual leader of the jews religion of Tamudic Hasidim, the Chabad Lubavitch, whose goal unto his god is to eradicate any thing of and for Jesus the Christ the LORD God Almighty from the memory of mankind. I have spent the last 18 years warning mankind of this plan under Mystery Babylon, the Mother Harlot of the earth, scheme, or like I prefer to call Ha Shem’s Sham of Shame. The final separation of the sheep of Jesus and the goats of Lucifer is well underway, yet the world is oblivious, apathetic and complacent, willingly ignorant, simply uncaring. In Christ Jesus NAME, do you care what is to become of your soul? Beware of the Alternate Far Right, for they SERVE Lucifer in their misdirection and distractions, these and their Alternative websites only serve that Old Dragon and Satan. The facts are well documented, the WORD of GOD the Prophecy is written and will not return to the LORD GOD Void. The Judeo churchinsanity, its hirelings of the cemeteries full of dead mens bones, have long since fled from the flock of Christ Jesus, leaving the Lord’s sheep to wander aimlessly with no direction, for neither do they pay heed to the WORD of GOD which is written. We are unable to post your comment because you have been banned by WND.Find out more. By Lucifer’s Hegelian Dialectics the nations have been delivered right into the arms of Satan’s Shema GOG. Maraka,(pun on “W”‘s pronunciation of America) you have been bamboozled. These anti-Christ Vipers of the Pits of Hell, have led you right from the frying pan into the fire, which is to come upon you. Make no mistake that this country was given up to “others besides those” (Daniel) and not to their posterity, but to Satan and his vermin and their proselytes. Now Trump has surrounded himself with these Talmudic Chabad Hasidic Vipers to complete the circle of Satan’s Ouroboros. Their Law is in place and as written as per Jesus, Matthew 24. The Prophecy of Christ the LORD GOD ALMIGHTY of His REVELATION is upon mankind. Yet man slumbers, reeling in drunkeness with the Whores cup of indignation against GOD the Creator. The world and its inhabitants deserve the WRATH to Come, for man had 6,000 years to come to the Creator, and 2,000 years to REPENT in the Christ Messiah, the Image of the invisible GOD, Jesus the Christ the Creator. Mankind preferred the preoccupation of his flesh which is corrupted. Without Jesus the Gate, man has perished. Here is the man who leads your government in D.C. Here is Dumpity Trump’s senior advisor, Kushner’s ribeye, Shemtov of the Shem sham of Ha Shems Shame, the shame of Lucifer. The Satanic Viper of the anti-Christ Noahide Laws of Mystery Babylon the Mother Harlot of the earth of Spiritual Sodom and Egypt, jerusalem, of where our LORD was crucified. Addle is a Middle English word coming from the Old English adela, meaning “liquid filth.” It’s related to the German adel, meaning “mire or puddle.” In the thirteenth century, addle was used to refer to rotten eggs. Now it’s used to describe a confused mind. When someone’s mind becomes addled — whether it’s from age or love or illness — it’s like the brain is rotten. There is no end to Satan’s rabbi’t hole……..
And Dumpity is gonna be Blessed……..by ribeyes and whoremongerers, proselytes and freemasons…Do Ah Heah all em evangelical Brutha’s aeean Sistah’s Give me aeean Ammean! I advise All Men of ALL Nations, All cults and sects and so called “Religions” to REPENT in the Name of Jesus Christ, Be Baptized in Christ Jesus Mighty Name for the Remission of SIN (Anti-GOD) and Pray the Lord, send His Holy Comforter upon you now and I Pray that you hear. As for the rest of Mankind, you are warned and forewarned, this flesh temporary as it is, is as good as it gets for your wretched souls. To the Liars in the House of GOD, yours is eternal Damnation, where you are to be cast out into outer darkness where there will be a gnashing and gnawing of teeth, for your LIES are REVEALED Forever! How do you think this will all come down? U.N. meets Jan. 15th. Trump swears in on the 20th. & he will get together with all the other big world leaders. A big war? Israel looks like God favored (maybe the false messiah jumps in) and all the people say “I told you Israel is God’s Holy Land and they are God’s chosen people”? Then Matthew 24 is folding down? Just wondering how long do you think it’s going to be before hell breaks wide open, so to speak? Actually it is not the UN, but the Paris Conference of 70 nations. I believe this is “Shembolical” and the so called 70 Goyim nations pre-planned to fail in stopping the settlement building, a “see I told you so” of course. Yes Itsreallyhell of flesh and jerusalem the whore is favored, for the LORD Said “VENGEANCE is MIND” and the whore city is designated by the LORD GOD, The CREATOR, the WORD (Jesus) for his day of great wrath. Matthew 24 is underway now. and thanks for being awake and alert. I feel like the Maytag repairman most of the time. I really don’t like replying to an “Idiot”, you don’t seem like an idiot and surely you have no fear of Satan and his minions of hell, so what is your name? some of the readers here, who have not yet come to the understanding of the POWER of GOD the CREATOR, hide behind anonymous and silly Avatars thinking that they are shielded, when in fact the moment you post, the Host has your URL or Address as per design. These Vipers of their flesh know who you are anyway. When the Hour of TEMPTATION is upon you, you will make your final CHOICE anyway. My name? Have you forgotten your oilfield buddy? Some call me a Christian, some call me a follower of Jesus but most of the world calls me a Idiot. Just don’t call me late for supper! Haha……I know who you are, just carrying on. But we must stand firm in our Testimony of Jesus the Christ the Lord God Almighty come in the flesh and now sits on the Right Hand of his Father. 11 And the beast THAT WAS, and IS NOT, even he is the EIGHTH, and is of the seven (Schneerson was the seventh), and goeth into perdition. Their words, not mine, …. The Rebbe was born in 1902, on the 11th day of Nissan, in Nikolaev, Russia, to the renowned KABBALIST, TALMUDIC scholar and leader Rabbi Levi Yitzchak and Rebbetzin Chana Schneerson. Rebbetzin Chana (1880-1964) was known for her erudition, kindness and extraordinary accessibility. Her courage and ingenuity became legend when during her husband’s exile by the Soviets to a remote village in Asian Russia she labored to make inks from herbs she gathered in the fields — so that Rabbi Levi Yitzchak could continue writing his commentary on kabbalah and other Torah-subjects. The Rebbe was named after his great-grandfather, the third Rebbe, Rabbi Menachem Mendel of Lubavitch, with whom he later shared many characteristics. Can you help me with this? 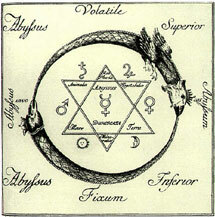 When they talk about the beast and 7 I think about Amos 5 – 8 Seek him that maketh the seven stars and Orion, and turneth the shadow of death into the morning, and maketh the day dark with night: that calleth for the waters of the sea, and poureth them out upon the face of the earth: The Lord is his name: (&) 26: But ye have borne the tabernacle of your Moloch and Chiun your images, the star of your god, which ye made to yourselves. Wonder what’s up with the 8? This is about the best explanation I can find. In the beginning YHWH set the ending, the seventh is of the eighth, It is the old new world order, with Satan and a Nimrod tyrant at the helm, The beast that was, and is not, even he is the eighth. It is a return, and it will have all religions, under one umbrella. I believe he is one of the seven. From Talmud Bavli the perver-sion of satans minions traditions which make the WORD of GOD of none effect unto them. see answer, Ten men of the bed of Shlomo (Solomon, who was wise, but got stupid quickly when setting up groves for Molech) Beware of the YHWH-ites, for he is Tetrgrammaton (Lucifer) they worship. Yes, they will make an image of this VIPER of HELL and cause all to worship him, I believe. well don’t believe…I think. The “image” part, I don’t get totally. “causeth the image to speak” ??? Every jewish king had a prophet, although this one is not Elisha, for if you can accept it John the Baptist is Elias…. I get that, but what’s your take on an “image” speaking, not that we have long to wait and see it. Dunno….hologram? Ventriliquist?…….I am certain the majority of JESUS the CHRIST Faithful will be long gone by then…Matthew 24……………………..er…not by a secret Talmudic manufactured rapture, folks……. I for one do not think this is Schneerson, for Schneerson is very dead with worms and maggots is all which is left of his carcasse. Sanhedrin will anoint their Moshiach from among the living and he will have a deadly head wound. I agree, for Schneerson was the 7th, not 8th. Robert, I am prayerfully open in understanding of the head wound interpretation. For instance, in Genesis the head wound prophesied to the serpent was one of authority. Jesus crushed the serpent’s head. Other renditions of future beast or antichrist killed by the sword, yet lives might also be spiritualized as the sword of the Word of God. Though I believe it is likely there will be a staged flesh wound, I believe that a deeper truth is intended. Jerusalem’s authority (head) was destroyed — for millennia, yet “it’s a miracle” now is like the phoenix is risen again, as a major world power. Could it be along these lines? Babylon was sorely smitten under the hand of God. Babylon reappears in its ancient dual aspect, political and social, the first city of earth and also the leader of the worship and religion of the world powers. Babylon will be one of the most important places on the line” (Col. VanSomeron – “The Great Unfolding”). If the name “Babylon” is only symbolic for end-time, anti-elohim religion and commerce, then the literal great city which “reigns over the kings of the earth” It’s more than just Rome, . It’s not just the Vatican City, it is so much bigger, than just the pope and his physical dwelling, it is the very essence of Babylon, the world is going to reunite under one old world / new world order, Elohim set the end in the beginning of time. We are going to see a return of Babylon, that will stifle Rome, and grow way beyond that of Rome, Who could make war with him, It will be world ruling, and will make Hitler look like a walk in the park. If Israel is mystery Babylon, there is something going on that I don’t have a handle on, because I’m an Idiot. 5 Hear ye this word which I take up against you, even a lamentation, O house of Israel. OR Babylon has nothing to do with the beast? I don’t suscribe to the YHWH, Yehuites, elohimites, etc..anything from these are of Satan, period. Babylon is jerusalem according to the REVELATION. Jerusalem of Sanhedrin after the working of Satan and they already control the Kings of the Earth. The Talmudic Jews work after the authority of Satan whom they have gotten their power. The jews reject the Messiah Jesus the Christ and have for 2000 years. The jews say that Jesus did not meet all the requirements of a flesh Moshiach, they reject that indeed he has in spirit. Thus all things Prophesied of Jesus the Messiah will be duplicated for the final deception upon mankind and the jews will exclaim to the world, see we told you, this is our Moshiach, not that “man” Jesus. Thus Satan will even duplicate his death and resurrection. Of course he will have to go into Perdition. I replied earlier, I do not know where the reply went. Just read all of the below. Satan is attempting to deceive the World by duplicating all which Christ Jesus accomplished. The jews rejected and reject Jesus, they seek one in flesh to destroy for them. They seek to Take Christ Jesus from the earth. I say “think’. I guess they will! People of faith / followers of Jesus / Christian is not a religion as the religion Judeo/Christian political program and the such. Can I help the Maytag repairman? as you can see I stop at all stop signs, ask questions, search for myself, then move to the next stop sign to see the same question I just asked. Can’t help it, I’m an Idiot! I called upon the Lord in distress: the Lord answered me, and set me in a large place. The Lord is on my side; I will not fear: what can man do unto me? P.S. as far as my knowledge, we will not see “the eight” even if it comes next week. I don’t think next week fits bible prophecy but I think you know what I mean? No. he is given 1260 days, once he is “REVEALED” and them will go into Sanhedrins Temple of Abomination, shewing he is God as God. Soon Sanhedrin will REVEAL that man of SIN. I do believe this is what Robert said? This judgment was felt not only in the spilling of the blood, but in the complete destruction of the city and sanctuary (2 Chronicles 36:19). This all was done “To fulfill the word of the Lord by the mouth of Jeremiah, until the land had enjoyed her sabbaths: for as long as she lay desolate she kept sabbath to fulfill threescore and ten years.” 2 Chronicles 36:21. The result of God’s people practicing the religious abominations of the heathen was the desolation of their land, city and sanctuary. God entrusted His words to the Jews. Spiritual Judea is supposed to be a spring of righteousness. However, it turned out to be a seed of hatred to real Godliness. Judaism, using the word of God as basis, degenerated into a prototype for human standard of Godliness! ARE the readers here fearful? Are you afraid for your flesh? WHO IS YOUR GOD ? DO you have no HONOR? I feel like the Maytag repairman. No one needs my services. I am sure JESUS felt the same way. Jesus the Maytag repairman. No one needed him.